It is without a doubt that chia seeds is a very nutritious food. It got a ton of goodness packed into tiny little seeds. Just one tablespoon per day is what you need to obtain those goodness. But then, comes the question on how do you actually use chia seeds? can you just eat it? No of course not! We humans are not like birds…. (and by the way chia seeds are pretty bland on it’s own. It will not taste anything like sunflower seeds that’s for sure). So how do you use chia seeds? Chia seeds usage in a smoothie is able to bring a different texture to your smoothie (it is also my favorite way of using it). There are two ways to use it in your smoothie. One way is to put chia seeds into your blender and blend your smoothie like normal. The second way is to blend your smoothie like normal, put your seeds and stir. I’m all for the second way as I can enjoy the unique texture of the smoothie infused with chia seeds. The small seeds are just a pleasant addition to the silky smoothies I usually had. Try it! I’m sure you will definitely love it. By the way, please let the smoothie plus chia seeds to stay for at least 15 minutes. This is to ensure the seeds has fully soaked all the moisture. This is an important step because if you eat an unsoaked chia seeds, it will end up absorbing the moisture inside your stomach. If you don’t prefer to let your smoothie sit for some time and would like to drink it fresh, you can soak the seeds beforehand, and mix it together afterwards. Another way to use chia seeds is as ingredient in overnight oat perfect for breakfast. For those of you who didn’t know, overnight oat is an alternative method to cook oats. Traditional method is to cook the oat by heating for 10-15 minutes (just like other grains). Overnight oat is done by soaking the oat with water and let it sit for 6-8 hours. Just perfect to be done before night time and eating it first thing in the morning. What’s happening is by soaking it and letting it sit for a long time, we are breaking down the phytates (a substance that protects the minerals of oat from being absorbed by our body). That way, the oat will be more readily available for our stomach to digest and absorb the nutrients. Chia seeds and oats are just a perfect combination. Oats are known for its blood cholesterol lowering properties, reducing heart disease risks, controlling blood pressure and many more benefits. This is just the same as the benefits in chia seeds. By combining these two, you are getting the best meal to fight heart diseases and diabetes related illness. 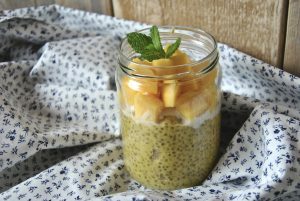 Chia seeds can also be used to make a pudding. Simply mix chia seeds with some liquid (water, dairy milk or vegan milk – almond, hazelnut, etc.) and let it sit in the fridge for 1-2 hours. You can also put some extra ingredients like nuts, peanut butter, cocoa powder, honey or stevia to increase the taste. As for the topping, you can put nuts, berries, bananas, pomegranate or any toppings you like. This will be a great dessert! Is There Any Other Usage For Chia Seeds? 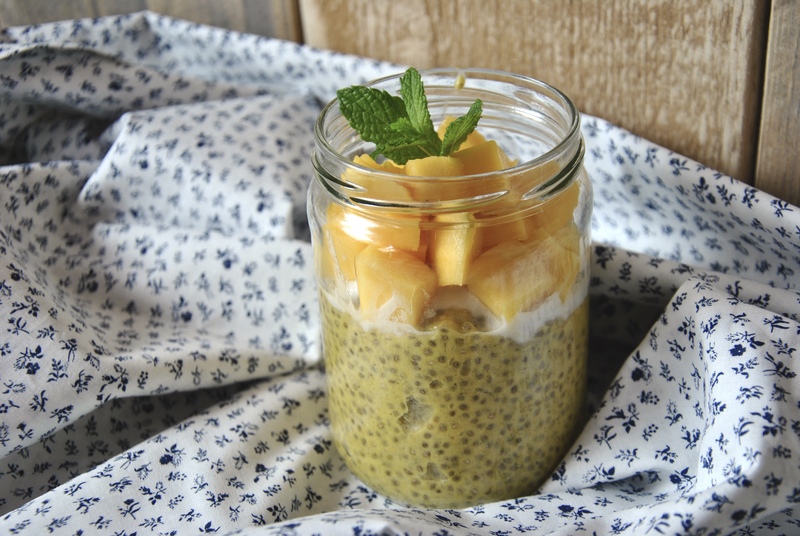 Apart from those 3 ways above, you can also use chia seeds as binder and thickener for recipes. One popular way is to substitute eggs with chia seeds in baking recipes. Because of its water binding properties, chia can be used perfectly to bake. What a great way of increasing the nutrition of your baked goods! You can get chia seeds at Amazon.com. 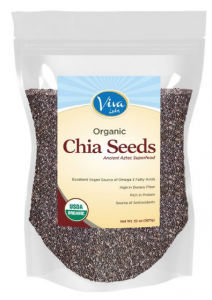 Viva Labs is one of the most popular chia seeds manufacturer today. All of their chia seeds products are organically grown and non-gmo certified. Click here to see the best deals of chia seeds at Amazon.com. Chia seeds is a superfood that is fully packed with nutrition. The ways above is some of the most common and delicious method of using the seeds. Remember to choose only organic and non-gmo chia seeds to ensure you are getting the best of the seeds. If you have any other chia seeds usage ideas, feel free to drop your comments below. Thanks for reading! Previous Post: What Are The Benefits Of Chia Seeds?